Necessary Roughness is getting pumped with fresh blood. 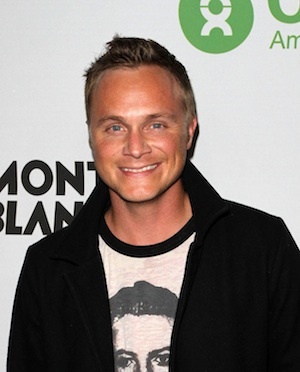 TV veteran David Anders is joining the cast. The busy actor will appear on the upcoming third season as the latest thorn in Dr. Dani’s side. David Anders is one of the hardest working men in Hollywood. He has a recurring role on ABC’s Once Upon a Time and recently appeared on The CW’s Arrow. So what’s next for the actor? How about a round of Necessary Roughness? According to The Hollywood Reporter, the actor has scored a role on the USA hit. Once again, it’s a recurring role and he’ll make his debut during Season 3. Anders’ character is tightly linked to another new co-star, John Stamos. Speaking of Dani, Stamos’ McClane will have his eye on the busy psychiatrist. He desperately wants her to join his agency after seeing her success with the New York Hawks. Sounds like trouble! Season 3 will consist of 10 episodes and is set to premiere this summer. Necessary Roughness centers on a recently divorced psychiatrist, who on a whim, becomes the go to gal for high-profile celebrities. She’s become the listening ear for everyone from athletes and rock stars to TV personalities. The show also stars Marc Blucas, Scott Cohen and Mehcad Brooks. What do you think of Anders’ new gig? Do you think he’ll fit in?